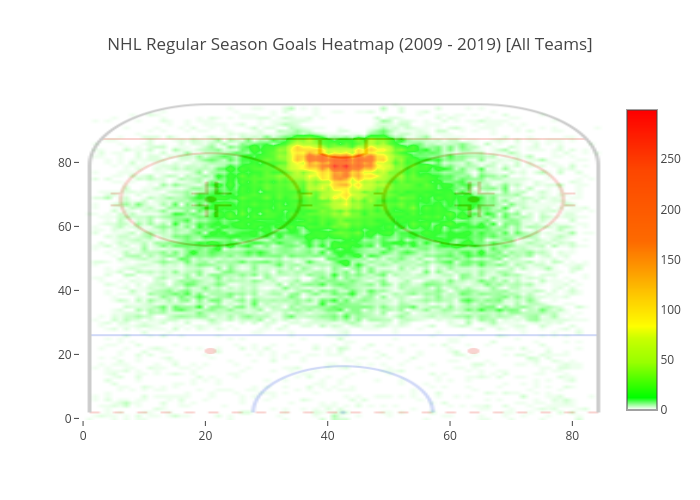 Dtemkin's interactive graph and data of "NHL Regular Season Goals Heatmap (2009 - 2019) [All Teams]" is a heatmap. The x-axis shows values from -0.5 to 85.5. The y-axis shows values from -0.5 to 99.5.